This exquisite 65’ Wendon power catamaran was completed in 2005 and was a display boat until it was sold in 2010 to its first/current owner. 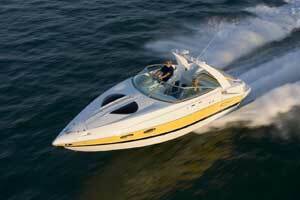 With its 22’ beam, the interior is as spacious as it is luxurious, sporting 4 staterooms and 5 heads. 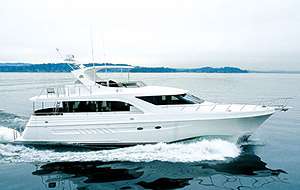 The enclosed Flybridge pilothouse offers excellent visibility. This yacht has proven its seaworthiness running down the West Coast from Canada, through the Panama Canal and up the inland waterways to its current location at Green Turtle Bay Marina. 11Kt cruise and 20Kt WOT. Includes 14’ Boston Whaler dinghy with a 40hp Mercury 4 Stroke outboard engine. 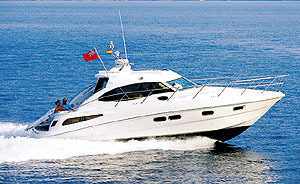 Schedule your appointment today to see this impressive yacht. Redundant controls at the helm for engines and thrusters. Docking Controls: gear shifts/throttle and thrusters on each side of the vessel. Plow anchor with custom “no flip” bar.